Following up on the webinar from April 22, a range of assets and packaging elements for Stories of Service, a pipeline of national content rolling out over the next few years, are available for your use from promo opens and closes to system cues to logos and fonts. 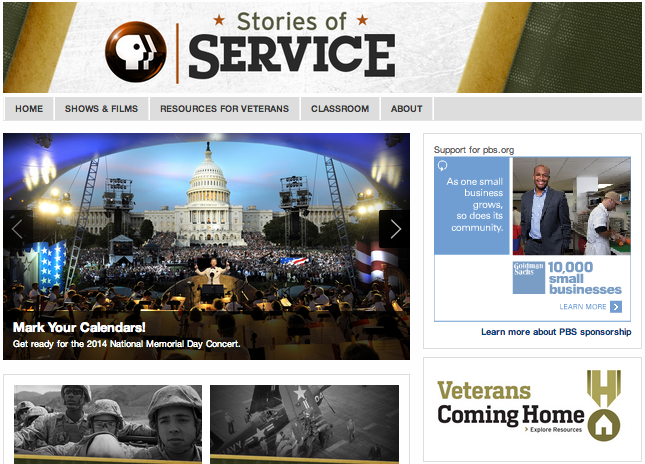 Additionally, all stations will be able to localize the Stories of Service experience online—pbs.org/storiesofservice—and take advantage of a digital graphics package & suggested teasers for social media. All these assets can work on their own or with your existing station veterans' initiatives. You will begin to see these assets on-air in conjunction with the Coming Back With Wes Moore series in May. To find out more information, please go to MyPBS/Engage & Promote/Stories of Service. Or you can view a webinar on Connect at Connect > Attend/Learn > Past Meetings and Conferences. Many of you have already been working with veterans and veteran’s organizations within your communities. By gathering together the PBS pipeline of programs under one moniker, we hope you will be better equipped to continue—or start—your work for the next two years and beyond. 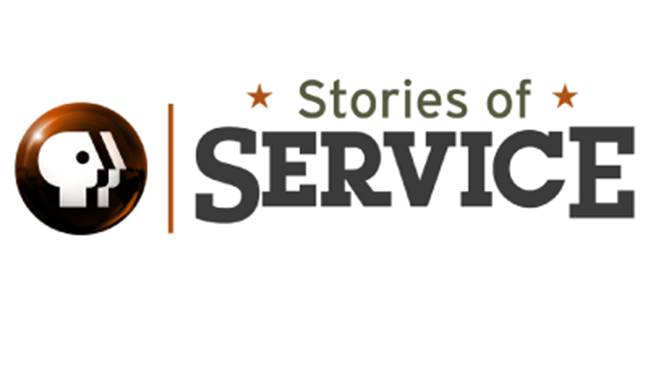 We are finalizing a formal joint announcement about the launch of Stories of Service with CPB’s Veterans Coming Home community engagement project. We will share the embargoed release with you shortly.